Newberry's danger is from within. The Newberry CSD's March board meeting was a colossal disappointment for the Newberry community. Residents trying to protect Newberry Springs from the long-term damages of the proposed 3,500-acre Daggett Solar Power 1 project were again met by the CSD board's deranged indifference. After months of failure to mount a defense for the community, the CSD board's time-to-act ran out. For those who live in Newberry Springs, the board's screw-up has now placed the residents' physical health and home investments at great risk. At least we have known that director Larry Clark wants Newberry's solar opposition to fail. He has been honest in his sentiments that Newberry should suffer the consequences of solar development (allegedly so that his personal business might benefit). Shown is an example illustration of NRG's network connections. The NRG Daggett 3,500-acre proposed solar project has already been flipped to Clearway Energy. 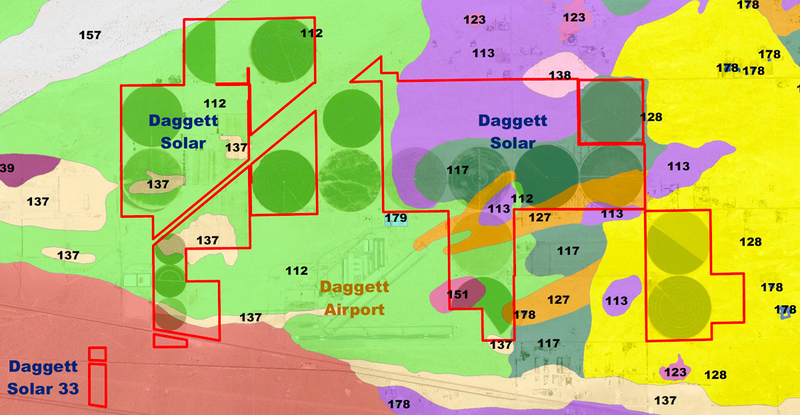 Diagram shows plans for an additional Daggett Solar Power 2 and Daggett Solar Power 3. The county on March 15, 2019, released a mammoth Draft Environmental Impact Report consisting of thousands of pages that opponents need to respond to within 45-days. 34-days from the board's last meeting. 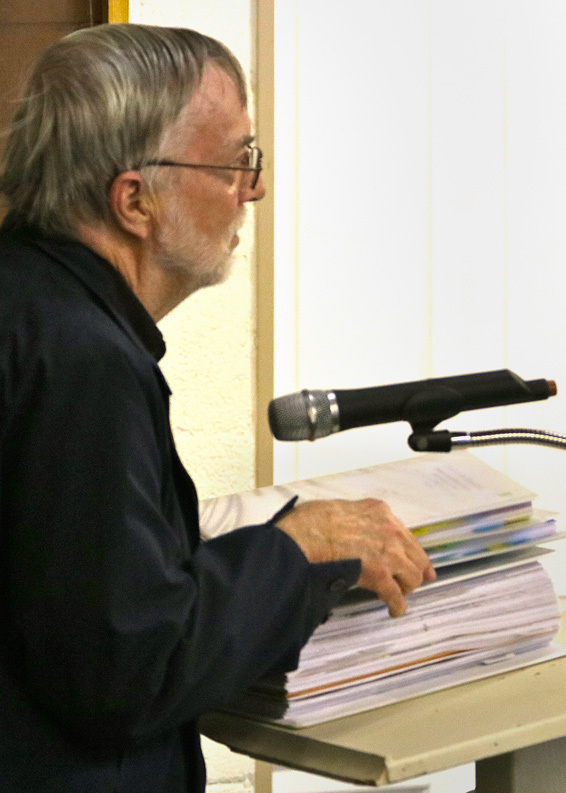 For over 15-months, Ted Stimpfel of Newberry Springs has been requesting the Newberry CSD board to release a portion of the remaining Kiewit Pacific funds that have been fiduciarily entrusted to the board for the community's benefit. There has never been a better application for the fund's use then to now protect the health of citizens, the community's value, and future. Insulting and incomprehensible were the comments by the board members at the March meeting as they demonstrated a callous disregard and ignorance of the problem. Director Paula Deel suggested that the matter should be tabled until the next board meeting on April 23, 2019, to allow more time to consider it. That would then allow an impossible 6-days to respond by the deadline. It is shocking that this director, and others, who are representing Newberry Springs don't understand that a proper Draft EIR response takes months to prepare. Newberry's response should have been underway long before the Draft EIR was issued. One doesn't wait for 6-days before the deadline to decide whether to do something. This just demonstrates how unqualified and inept Deel and the other Newberry CSD board members are in representing Newberry. Pictured is Bob Berkman of CEQA-Now displaying to the CSD board only a fraction of the county released Draft EIR. It can not be addressed in 6-days. CSD President Robert Springer also commented that the Newberry CSD must consider not ruffling the feathers of the Daggett CSD which is in support of the massive solar project. So, the question is, does Springer know who he is representing? Is he looking out for the health and the well being of Newberry's residents or is he worried about hurting the feelings of the Daggett CSD which obviously isn't concerned about their Newberry neighbors? Approximately 15 years ago, a handful of Newberry's citizens banded together and sued Kiewit Pacific over a new county mining permit. Rather than face a delay in mining operations, Kiewit Pacific settled the matter which included a cash payout of $350,000 to the successful plaintiffs. The Newberry CSD was an attached plaintiff by name only. The winning citizens collectively wanted the funds to benefit the community, but who among them was best suited to distribute the funds? The plaintiffs did not want the money to be simply turned over to the CSD to be dumped into the general treasury for the general operations that are restricted by LAFCO. It was ultimately decided that the funds would be entrusted to the CSD board members, but not to the CSD's general treasury. Instead, the funds were specially earmarked as a special trust donation not to be comingled nor used as part of the general operating budget, but to be dispensed at the board's discretion for community special needs outside of LAFCO's jurisdiction. The plaintiffs wanted the funds to help fulfill the special needs of the community that are not addressable by LAFCO's public fund limitations. The CSD board agreed and stepped-up to the trust management of the funds. In order to acquire ideas from the community as to how the funds could be spent, the CSD itself initiated a special community survey that included 21 suggestions, many that are far beyond the CSD's LAFCO mandate. This survey underscores the understanding of the diversity of how the funds could be used outside of the CSD's normal LAFCO restrictions. Despite much that has been said in the last 15-months in trying to educate the Newberry CSD board, the dull-witted board still can not comprehend that the Kiewit Pacific funds were entrusted to the board as specially earmarked funds, and NOT given to the CSD's general treasury nor given as a reserve which would have placed the funds under mandatory LAFCO criteria. Unfortunately, the CSD board members haven't been able to get their heads out-of-the-sand over a single Kiewit Pacific cover letter that was written for tax purposes that accompanied the Kiewit Pacific check. What importantly predated and authorized the issuance of the check to the CSD was a prior agreement between the plaintiffs and the CSD that the money would be maintained and handled separately from CSD functions. The law appears very clear that the CSD undertook the dispensing of the funds under a fiduciary relationship. Violation of a fiduciary relationship is subject to stiff punitive damages. The Newberry CSD has severely breached its management duty of the funds. Tens of thousands of dollars are now missing and unaccounted for. There has been exceptionally poor accounting management of the trust funds. Currently, only about $110,000 of the trust funds are reported as remaining in a bank CD. In order to cover-up its accounting mess, the CSD earlier reported that all of the money had been spent, not for special community needs but embezzled and partly used as a slush fund for CSD assets. In May 2012, Wayne Weierbach, in order to allegedly cover-up the CSD's missing Kiewit Pacific funds, came out with an official statement that the funds "...were always classified as a reserve fund and not as a separate special account" and that "...the funds have been expended over the past years." Well, in 2019, about $110,000 apparently still exists. It would appear that Weirbach gathered a number of past CSD purchases and claimed that the Kiewit Pacific funds were applied for their purchase in order to fill the gap in missing funds, whether or not the CSD board ever authorized the use of the Kiewit Pacific funds. As the current CSD board feels that the remaining Kiewit Pacific funds are the CSD's under LAFCO control, we have a comingling of funds and we need the money not properly documented to have been spent to be now returned to the plaintiffs. Any trust in the Newberry CSD's management ability has been severely misplaced. The illegal conversion of funds needs to be investigated by the Grand Jury and perhaps by the Attorney General for criminal action. We need to know what happened to the tens of thousands of missing dollars. When the local CSD under President Robert Springer and Vice-President Paula Deel continues the improper conversion of the Kiewit Pacific funds, the fact that the CSD won't investigate the missing funds nor the fund's background, and the CSD board (comprising of Robert Springer, Paula Deel, Victoria Paulsen, Jack Unger, and Larry Clark) refuses to release the funds for their intended purpose, then an outside oversight investigation is needed to address the board's complicity. As Prez. Trump says, "Lock them up!"